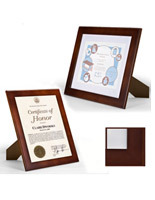 These Document Frames are Great for Displaying Diplomas! Many Other Variations are Readily Available! Most Merchandise Including These Document Frames Qualify For Same Day Shipping if Ordered by 1pm EST and In Stock! 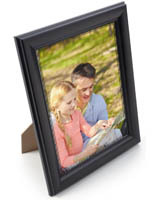 Document frames showcase prints vertically or horizontally on a desk or wall. Accommodates artwork up to 13-7/16"w x 10-7/8"h.
Included is a removable white mat to create a border affect around certificates. 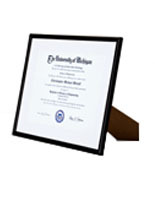 These are document frames that are best for exhibiting a diploma or certificate. 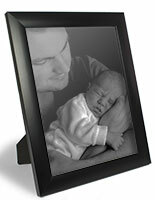 This photo holder could be presented on a tabletop or hung on the wall. 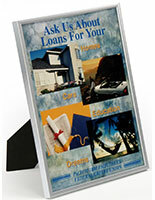 These document frames are often known as certificate displays. This holder for a picture guards the images. 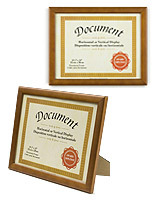 These document frames shield the certificate from being torn or creased. The image in the holder could be in landscape or portrait layout. These are document frames that have an optional mat that can be taken out. 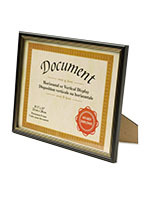 This allows the picture display to hold a certificate larger than the standard size if needed. 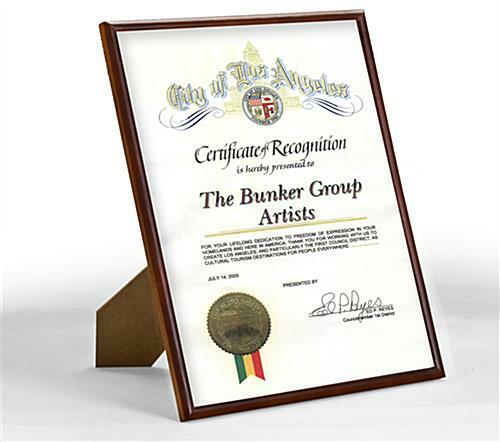 These document frames are also well suited for displaying art. 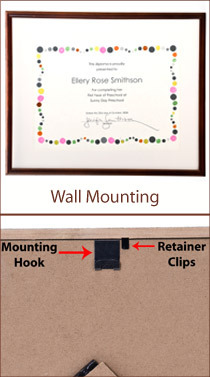 This picture holder is sturdy and will display a certificate or art for many years. 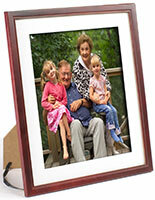 These are wood document frames stained mahogany. 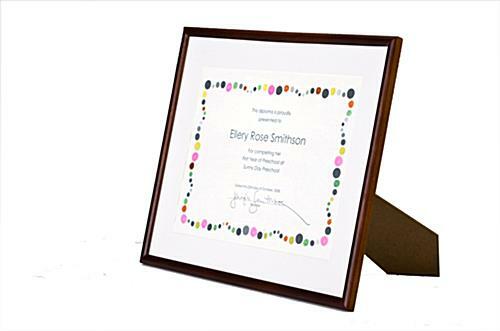 This certificate display is ideal for exhibiting accomplishments. These document frames will go with any decor. This holder is offered in various sizes, styles, and colors. 16.1" x 13.6" x 0.5"